The URBAN line, by Bowl and Bone. 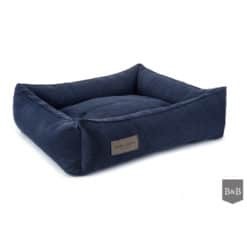 Inspired by modern city lifestyle created for the comfort of your pet. It is also a hat tip to pet owners who pay attention to every detail of interior design. 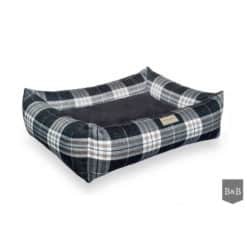 A comfortable choice of bed for your dog as well as a stylish choice for your home. 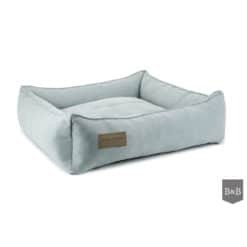 Thanks to the highest quality material and carefully thought-out shape the Bowl&Bowl bed will become your dog’s favourite and most important place. The bed measurements are taken from the underside of the bed (outside), allow 10-15cm each side for the side cushions. Bowl & Bone Delivery - Important! 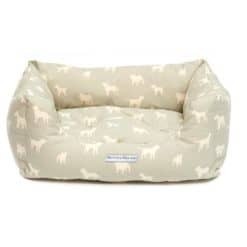 Our cushions and beds are fitted with zippers which make it super-easy to remove the filling at any time. 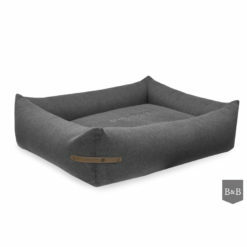 A specially selected padding will assure your pup an undisturbed and comfortable downtime. The cushion cases can be hand washed or machine-washed at 30°C. Made from a very durable Polyester mix. Between 29/04 and 03/05 the Bowl and Bone Europe are planning a spring break. As these items are shipped directly from the warehouse, orders placed in this time will be shipped after May 6. We apologise for any inconvenience. 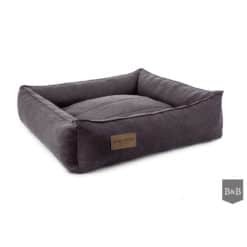 Beds and large packages : £6.95 Tracked delivery. PLEASE NOTE: Bowl & Bone products are a firm favourite with our UK customers, however these are despatched directly from their warehouse in Europe. 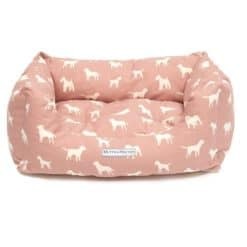 Should you need to return or exchange a Bowl and Bone product, you will need to send the item back to their warehouse in Europe. However we will provide you with information on a courier service that will do this at the same rate as returns within the UK and who will collect from your door, for your convenience. PLEASE NOTE THAT THE MEASUREMENT IS TAKEN FROM THE UNDERSIDE OF THE BED. THEY ARE NOT THE MEASUREMENTS OF THE INTERNAL SLEEPING AREA. PLEASE ALLOW FOR THE CUSHIONED SIDES WHEN CHOOSING YOUR BED. IF IN DOUBT TAKE THE LARGER SIZE.